Mexico is a happening destination for the summer. Sun, sea, and sand make a delectable combination that promises to refresh and rejuvenate you. There are many great things about Mexico – it is warm and sunny, has a happy and upbeat vibe, is affordable, and is just next door to the US. But it is the summer, so don’t forget that suntan lotion! Millions of people flock to Mexico every year, regardless of the season, because the sun is always shining and because the dollar goes a long way there – shrimp tacos for $20 pesos! In fact, tourism is one of the key drivers of the Mexican economy. This summer, how about a vacation at the picturesque city of Cabo San Lucas? 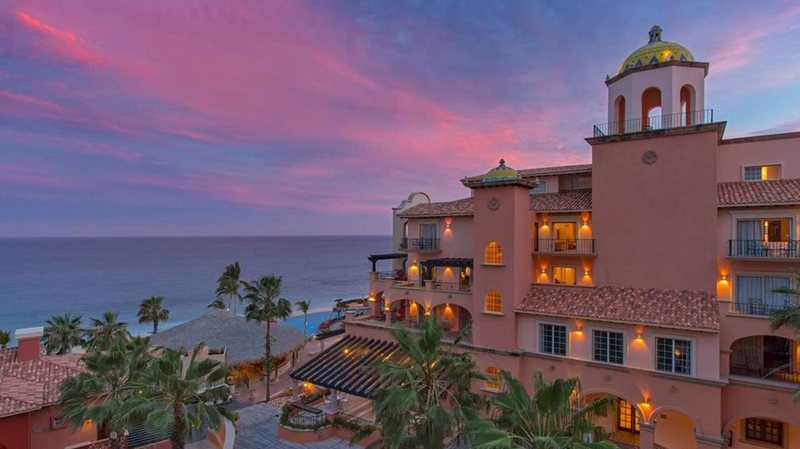 Famed for the luxury resorts, Cabo San Lucas is the destination for a relaxing holiday. 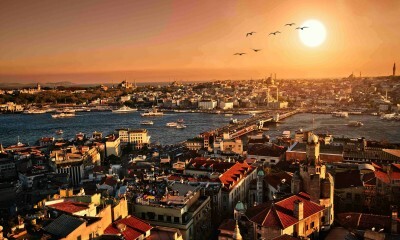 May to June is the best time to visit the city, when the winter crowds have thinned and the summertime crowd is yet to begin. October and November are also nice months for a holiday, but since this is a peak season, you will need to book hotels in advance. 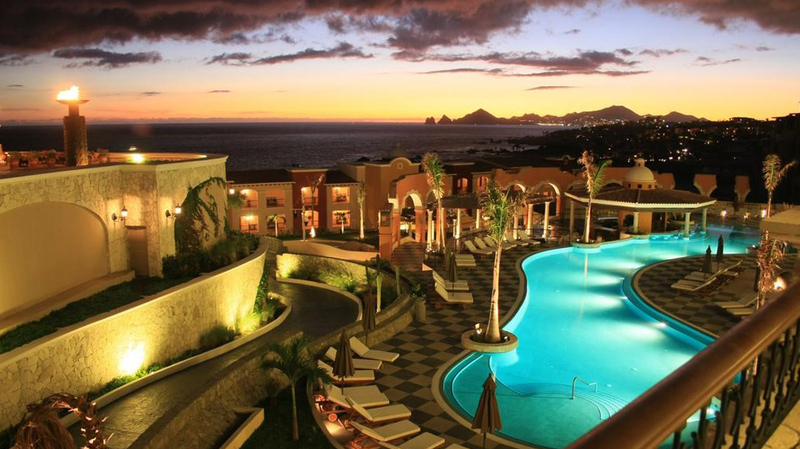 Talking of hotels, what are some of the best resorts in Cabo San Lucas? Let’s find out. If you’re looking for a secluded getaway, try the Pueblo Bonito Pacifica Golf & Spa Resort, three miles from downtown Cabo San Lucas. There are 201 rooms and suites in all, and all of them feature a subtle decor, minibars, satellite TVs, and Internet access. There’s also plenty of opportunity to get some sun, thanks to the resort’s two-and-a-half-mile-long sandy beach. But all you can do is sunbathe, because the water is unsafe for a swim. Instead, you can use the resort’s two swimming pools to soak in. There are activities galore at the resort. There’s the Quivira Golf Club, the award-winning Armonia Spa for relaxation, and downtown Cabo San Lucas for sightseeing and nightlife. You also get free breakfast, free parking, and free refueling at any of the resorts five restaurants around the city. This is an all-inclusive resort that always features on top in Cabo San Lucas. However, this is an adults-only place, so if you have children, this isn’t the resort for you. This is a gorgeous property perfect for a serene vacation. And you can always take that amazing ATV tour! This is the perfect place for enjoying a sensational and secluded vacation. 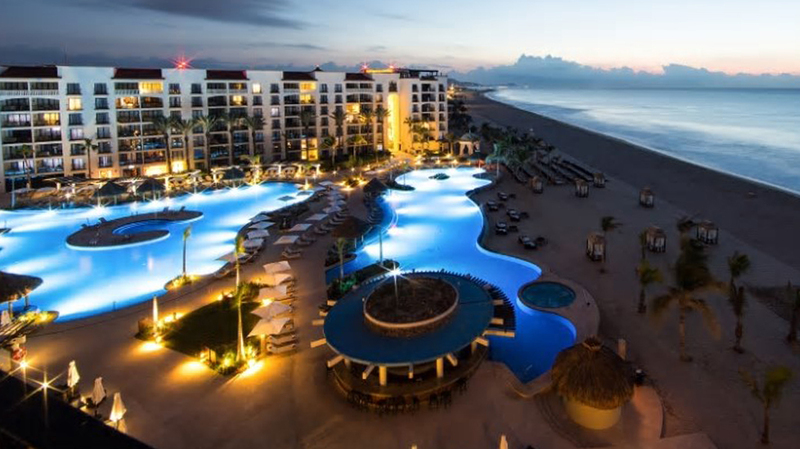 The Sheraton Grand Los Cabos Hacienda del Mar has its own beach, five swimming pools, and spacious accommodations, ideal for those who want to relax. But if you want activity, there’s plenty to indulge in. You can play golf at any of the nearby courses, get a relaxing massage and treatment at the Cactus Spa, or enjoy the Sheraton Sweet Sleeper beds, minibars, and private terraces and balconies. There are five on-site restaurants to take your pick from. Overall, this is a decent family friendly resort in the city, perfect for rest & recuperation. And you can always hop on that amazing dune buggy tour. 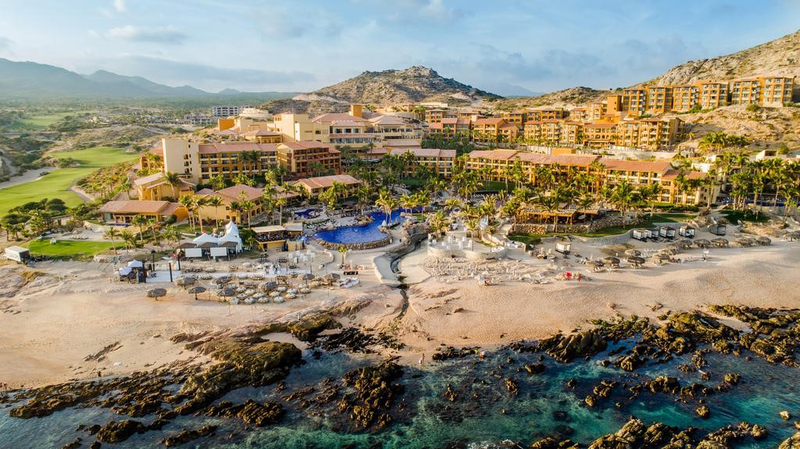 This is another sprawling all-inclusive resort that charms visitors with the easy access to downtown Cabo San Lucas, and the versatile range of family-friendly features. Some of the most popular amenities are the children’s pool, the Kids Club for guests aged between 4 and 11, and the exciting dining options. There is nothing like shrimp tacos. Head over to the orange restaurant that is about 300 feet from the Starbucks, about 2 blocks inland, and for about 20 pesos you can have fish tacos with amazing toppings and enjoy yourself in the shade. The accommodations are airy and spacious for large groups, and are equipped with living areas, kitchenettes, and balconies or patios facing the ocean. Adults can unwind by signing up for a massage at the award-winning Armonia Spa at Sunset Beach, which has everything from facial and body treatments, massages and aromatherapy, to a gym and workout area. Or you can play a round of golf at the nearby Quivira Golf Club, right next to Pueblo Bonito Pacifica Golf & Spa Resort. However, these aren’t covered in the all-inclusive room rates. There are plenty of on-site dining options for satiating your hunger. However, not all restaurants are included in the all-inclusive rates, while restaurants like LaFrida require an extra cover fee for every person. If this isn’t convenient for you, the easier options is to head into downtown Cabo San Lucas and help yourself to authentic dishes while getting a taste of the lively cultural scene. Although a fine resort, with scenic views and a number of different dining options to keep you happy. You can take a taxi over to a fantastic movie theater called Cinepolis. The theater closest to the harbor is not as good since movies are shown late and the picture quality is sometimes terrible. Go to Cinepolis for the best movie experience, even better than some American theaters. 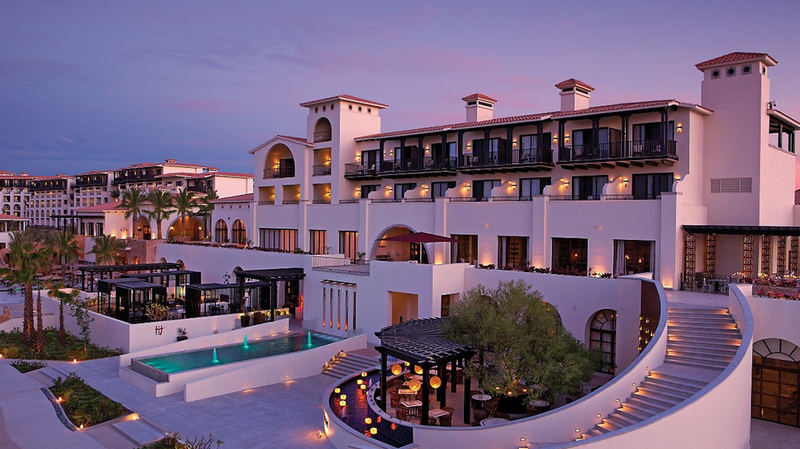 The resort sporting a traditional Spanish colonial architecture overlooks the Sea of Cortez, and boasts of fine amenities. The Hacienda Encantada Resort & Residences has a unique characteristic that most other resorts fail to provide, and that’s a home-away-from-home vibe. So much so that the staff remembers the guests’ names and the accommodations are decorated with bright colors, private balconies, and local handcrafted artwork and furnishings. The warm, inviting, and cozy feel of the resort has many guests returning for more, with the personal touches making the stay comfortable and homey. It isn’t every day that guests find such home-like ambiance at a luxury resort. The features don’t end at the decor and personal touches. There’s so much to do at the resort that you might not find enough time. If you like to sunbathe, stretching out along the sand or lounge by one of many swimming pools is a wonderful way to relax. For rejuvenating your tired body, head to the Hacienda Encantada Spa or the sauna called Temazcal for lifting up both body and spirit. There are different kinds of aromatherapy and beauty treatments that you can take advantage of, although not all of them are part of the all-inclusive rates. If you’re more of an adventure lover, there are exciting options for you too. Simply sign up for a zip line tour or go diving or parasailing. When you’re famished, head to any of the five on-site restaurants or the two swim-up pool bars for a sumptuous meal. There are also several other culinary options around the nearby Cabo San Lucas marina in the Golden Zone, so you can always venture out to see the sights and gorge on the local cuisines. If you’re looking for a family vacation with plenty to do as well as relax and rejuvenate, Hacienda Encantada Resort & Residences is the place to be. The homely vibe and the inviting decor are the cherry on top of the cake. The best feature of the Grand Fiesta Americana Los Cabos All Inclusive Golf & Spa is the location in Los Cabos, with scenic views of the Sea of Cortez. The best way to feast on the views is to book an ocean-facing room and indulge in the breathtaking view while sipping on a drink from the mini bar. The floors are made of marble, so you feel luxury in every step. When you venture out of your room, there are plenty of activities to keep you entertained. You can play a round of golf at the Jack Nicklaus Ocean Course at Cabo del Sol. If you’re in the mood for some relaxation without leaving the property, you can try some ‘vinotherapy,’ which is a customized spa treatment with wine, at the SOMMA WineSPA. 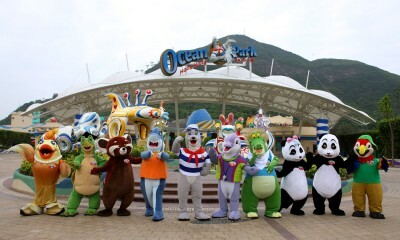 This family friendly resort also has plenty to keep the kids entertained, from sports, arts and crafts, to beach games. When you need a refuel, head to any of the restaurants within the property. There’s Mediterranean cuisine at Rosato and fusion Mexican fare at Viña del Mar, while Península offers a more casual dining experience by the pool and Tapas Bar & Fire Pit is great for quick bites. There are several other restaurants within the resort that you can pick your meal from before returning to your suite. 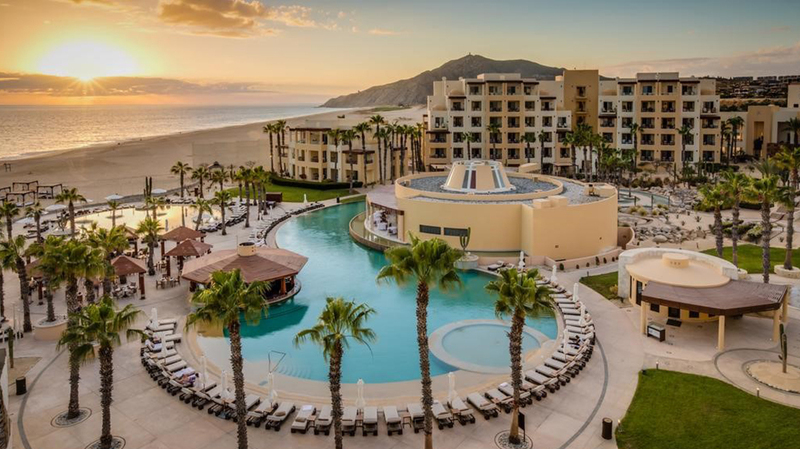 Not every luxury resort with world class amenities is family friendly, so the Grand Fiesta Americana Los Cabos All Inclusive Golf & Spa scores brownie points. 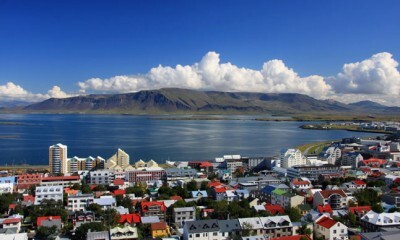 Amazing views, friendly service, and plenty of fun activities makes this a popular resort with frequent travelers. 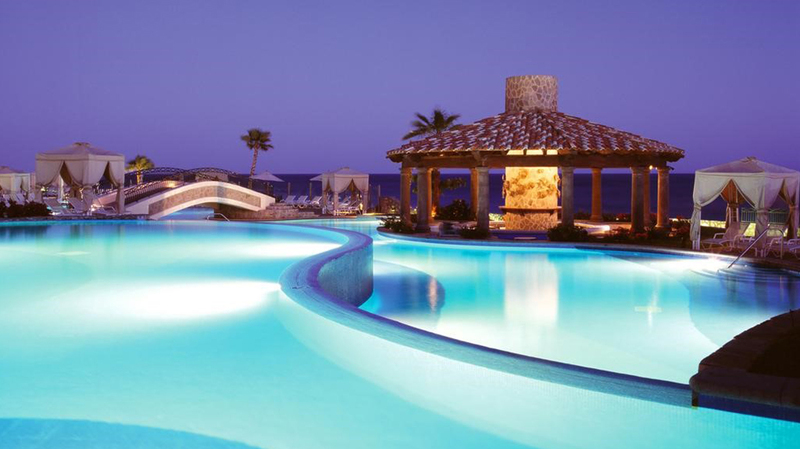 Situated along San José del Cabo beach is this all-inclusive Hyatt resort, offering a blend of fun and relaxation. If you’re looking to relax and unwind, you can lounge by one of the four pools within the property or by the beach. For some pampering, head to Zen Spa for various massages, facial and body treatments. The spa offers aromatherapy, foot massage, as well as all types of relaxing treatments for complete rejuvenation of body and mind. In the meanwhile, active guests can indulge in a round of golf at the nearby golf courses, a few of them being Punta Sur Golf Course with 9 holes, Club Campestre in San Jose, Querencia Golf Club, Puerto Los Cabos Golf Club, and El Dorado Golf & Beach Club. Playing at any of these nearby courses are included in your rate. Once you’re tired and famished, satiate your appetite at one of the seven on-site restaurants. Aside from the delicious food, guests are all praise for the wonderful view and the outstanding customer service. After the meal, retire to your spacious suite equipped with complimentary Wi-Fi, garden or ocean views, rainfall showers and hydro-massage tubs. Whether you want to enjoy golf, indulge in massages, or just relax in your room while feasting on the ocean views, there’s so much to do at the Hyatt Ziva. This is a fairly new resort having opened in December 2013, but Secrets Puerto Los Cabos Golf & Spa Resort is already extremely popular because of the features and amenities on offer. There is unlimited luxury at this adults-only resort located in San José del Cabo. The all-inclusive property offers a wide array of features to keep you entertained. If you want to relax, your pick should be the Secrets Spa by Pevonia where you can indulge in a seaweed wrap or an aromatherapy treatment. If you want to pass your time by the sea, the lounging at the nearby Puerto Los Cabos beach is a good option. For more activity, there’s a championship golf course, two pools (the venue for the weekly theme parties), and fitness classes. To satiate the foodie in you, the resort offers seven on-site restaurants, where you can get a taste of everything from global cuisine to traditional Mexican to Italian fine dining. The accommodations are equipped with a Jacuzzi, a well stocked minibar, complimentary Wi-Fi, and a private terrace or patio overlooking the ocean. Like all Secrets properties, this resort is also beautiful and luxurious. Whether you want a relaxing spa vacation or want to spend time enjoying grilled delicacies by the beach, Secrets Puerto Los Cabos Golf & Spa Resort is a perfect choice.